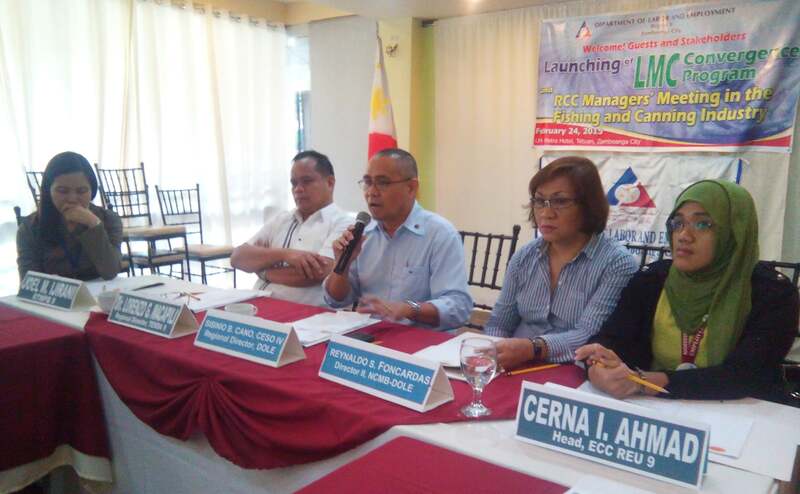 Zamboanga City-In order to facilitate compliance with Labor Laws and sustain sound employee-employer relations through the Labor- Management Cooperation/Council (LMC), the Department of Labor and Employment Regional Office No. 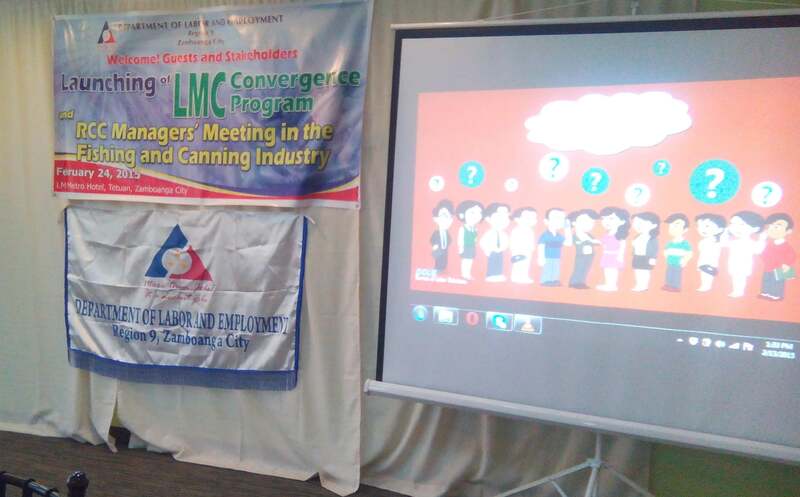 9 (DOLE RO-9), in partnership with the DOLE Family of Agencies invite 16 managers and representatives of the Fishing and Canning Industry at LM Metro Hotel, Zamboanga City, today to discuss the LMC convergence of programs. In his opening message, DOLE RO 9 Director Sisinio B. Cano emphasized that this forum will serve as a vehicle for dialogues to sustain a peaceful and harmonious workplace. In this convergence meeting, programs on productivity, occupational safety and health, family welfare, grievance, and compliance committee mandated to conduct joint assessment and OSH investigation under the DOLE Labor Laws Compliance System (LLCS) is being discussed thoroughly to address decent work issues, establish peaceful and harmonious labor-management relationships and industrial peace, and increase productivity and competitiveness of enterprises.